Cortaca Jug 1999. Huddle before the game. 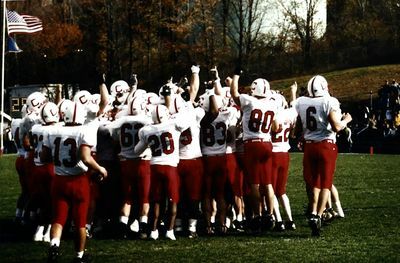 Cortland defeated Ithaca 26-21.